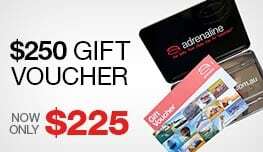 Are you ready to experience the most advanced F1 racing simulation Australia has to offer? Our F1 Racing Simulator Experience puts you in the drivers seat and is the closest thing to actually being on the track you can get. 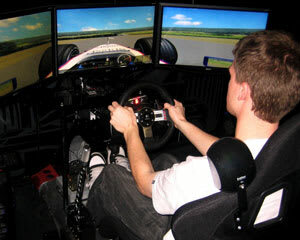 Our simulators have outstanding full-motion effects, precision surround sound and state of the art graphics. These are the authentic simulators that professional racing drivers use for training and practice, and you can't get much better than that! 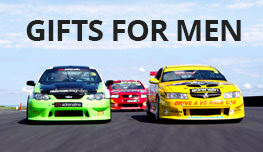 You can choose any car, any track, worldwide. What could be more fun than scraping the concrete barriers as you race around the streets of Monaco hunting down the race leader? It's full-motion and full throttle, you will experience the same sensations that an actual racing driver would feel! If you are very sensitive to motion sickness, please let us know so that we can switch off the motion sensor and you can still have an enjoyable race without the simulator moving. Australia’s most advanced racing simulation centre. Full motion simulators with 6 axis movements, Dolby surround sound and HD surround vision. Full sized display F1 car on the premises. Virtual racing ... Real fun! Open 7 days a week from 10am. Easy to find location, right in the heart of the Gold Coast. We also have a V8 racing simulator available.